OnBOX: Tonight! BBC One! London’s Knife Wars: What’s the Solution? 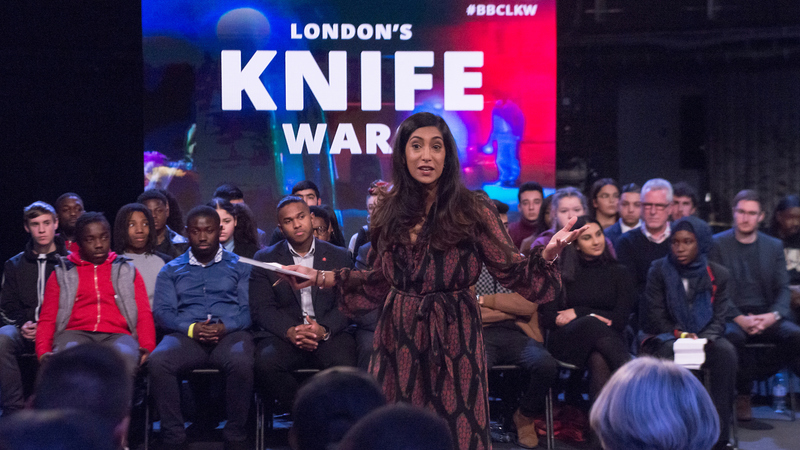 Tina Daheley hosts a debate asking police, politicians and an audience of Londoners: What can be done to stop the number of young lives lost on the capital’s streets? The panel includes Deputy Mayor for Policing Sophie Linden, and Metropolitan Police Assistant Commissioner Mark Simmons.